Blocks in Manhattan are like small fortresses. 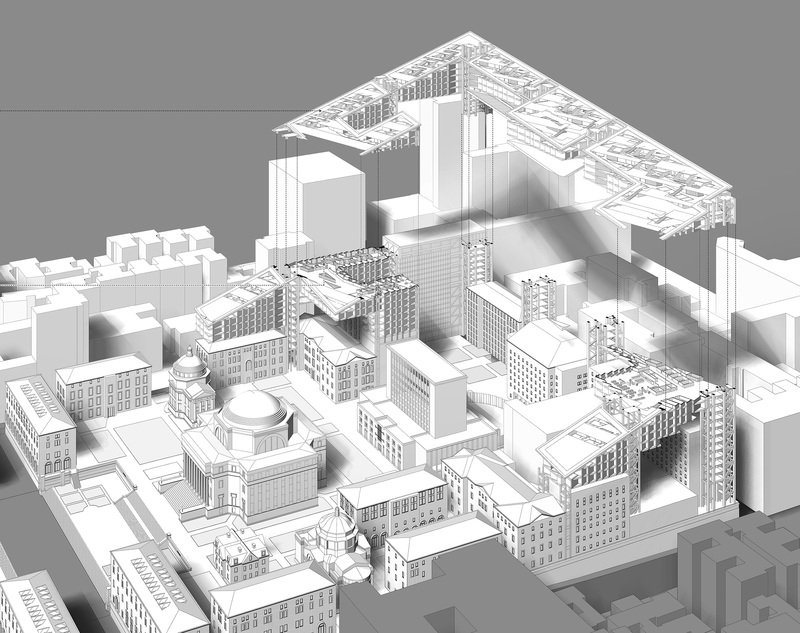 The high dense development has rendered the whole block to become an interiorized space. There are only a few entrances to these 243,000 square feet of space and it does not lead you to a public space. Is there any way to develop these blocks in New York to have more connections to the community and become less isolated? And could there be a strategy to achieve that while making the block even denser? The Columbia University campus in upper Manhattan has a potential possibility to achieve this strategy. 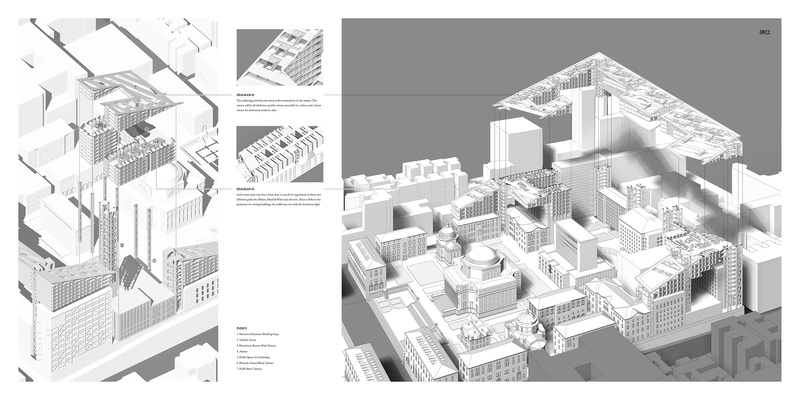 Although the block of Columbia University has a strong formal boundary than other blocks in New York, because of the intention of Mckim, Mead & White, who wanted to make the inside of the block comparable to the surrounding, it acknowledges the necessity of providing their space to the public, and developing the block as a whole. On the boundary of the campus, there are ascending entrances to enrich the feeling of spatial shift, and makes the contrast more distinctive between the mundane streets and the open campus. This strategy could go further and create an unexpected open space by filling up and connecting the space in between buildings on the boundary. It’s as if the border line has been lifted and began to relate with the surrounding. This gigantic movement transforms each of the differently functioning buildings into an aggregated entity, and at the same time gives the campus block a new uniformity. 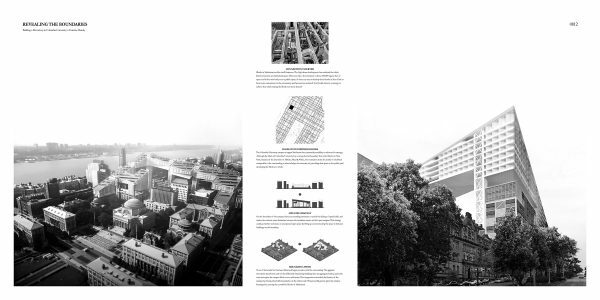 This integration intensified the identity of the campus by having observable boundaries on the urban scale. This powerful gesture gives the campus heterogeneity among the monolithic blocks of Manhattan.